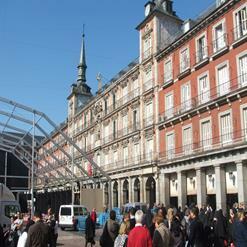 Based to the south of the Puerta de Alcalá, Museo Nacional de Artes Decorativas or the National Museum of Decorative Arts is home to furniture, ceramics and decorative pieces from Spain, dating back to Phoenician times. Highlights include an outstanding collection of Oriental art, with objects from the Ming and Qing, last two Imperial Chinese dynasties, along with others from the Edo and Meiji periods in Japan. The Spanish collections include magnificent ceramics from Toledo, Talavera and Alcora; textiles collection; glassware collection and Spanish carpets.